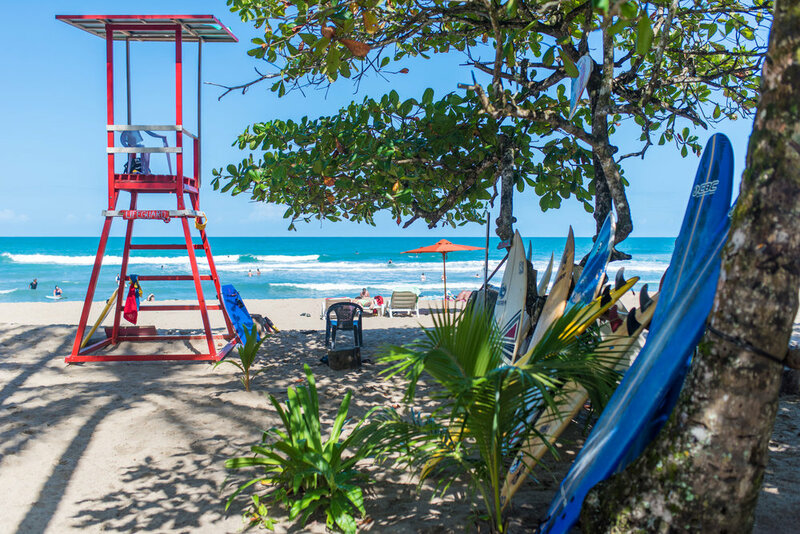 Jammin — Pura Vida Travel Co.
Indulge in Costa Rica's Caribbean flavors on this journey into an often overlooked paradise of pristine beaches, tropical rainforest, and vibrant culture. From Puerto Viejo to Manzanillo, the small laid back beach towns offer up a variety of activities reminiscent of 'island life on the mainland' from snorkeling and surfing to sipping tropical drinks on unspoiled beaches. Backed by lush tropical rainforest, this coastal destination is home to variety of wildlife including sloths, monkeys, turtles, toucans, and scarlet macaws. One of the last remaining places where Costa Rica's indigenous people, the Bribri are found, the region is unique blend of afro-caribbean, spanish, and indigenous culture infused with a like-minded spirit of oneness with the surrounding landscape. Harness the energy and feel the vibes of this captivating location with a six day escape to el caribe. Airport transfers & ground transportation between San Jose, La Fortuna, Monteverde and Manuel Antonio. Airport transfers & ground transportation between San Jose and your hotel in Puerto Viejo. Arrive in San Jose by early afternoon where your friendly driver will greet you at the airport and load your luggage in preparation for your drive to the coast. Travel through the impressive central highlands giving way to the lowlands of the Costa Rica's majestic Caribbean Coast and arrive at your hotel in time for a welcome drink and and picturesque sunset before dinner and bed.. Depart in the morning for your 3 in 1 tour with a visit to the sloth sanctuary for an up close and personal experience with these local inhabitants of the rainforest. Afterwards visit a local chocolate farm to learn about the origins, productions, and cultural importance of this delectable treat. After lunch, take a guided hike of Cahuita National Park for opportunities to see howler monkeys, sloths, tropical birds, reptiles and insects before swimming in the refreshing turquoise blue waters bordering the park's beautiful white sand beaches. Enjoy one or more of the many optional tours and activities offered in the region including snorkeling, dolphin watching, turtle observation, canopy zip-lining, and indigenous village experiences. We highly recommend a guided hike of Gandoca-Manzanillo National Wildlife Refuge for even more opportunities to enjoy the abundance of wildlife in the region within its natural and unspoiled habitat. Don't forget to grab lunch at Maxi's for one of the best Caribbean style meals of whole fish and rice & beans in coconut milk you will have during your stay. After breakfast head to Playa Cocles for a morning yoga class or surf lesson. Spend the remainder of the day enjoying the radiant sun, soft sands, and gentle waves of this popular beach. After lunch, enjoy a massage or body treatment at the local spa or relax in a hammock outside your hotel room. Venture into town for dinner before a night of dancing at one of the popular beachside bars. 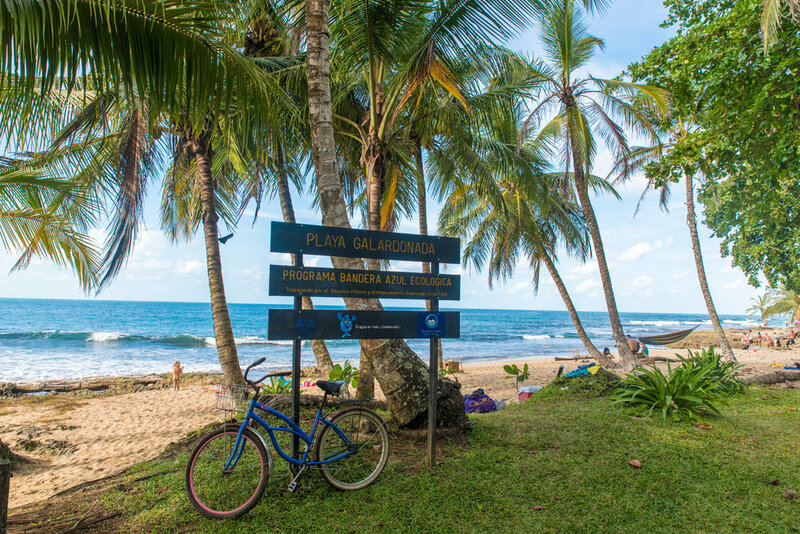 Rent a bike and head south down the road in search of some of the best beaches Costa Rica has to offer. Follow gravel roads and jungle trails giving way to stretches of empty pristine coastline. Don't miss Punta Uva, our favorite of these hidden gems along this route. Transportation will meet you early in the morning to take you back to San Jose in time for your departure flight home. Say your final goodbyes to this new found paradise and your gracious hosts before taking off with memories to last until your next journey begins! La Fortuna is known for its adventure based ecotourism and you won't want to leave without feeling the rush, adrenaline, and natural highs of Arenal. Soar among the tree tops with canopy zip lining, rappel down jungle waterfalls into crystalline pools at the bottom of lost canyons, or navigate world class II, III & IV rapids with an exhilarating and heart-pounding day of white water rafting. Mountain biking, kitesurfing, and stand up paddle boarding are also available in and around Lake Arenal. Depart for Monteverde as you ascend further into the western highlands. Arrive by midday in time for lunch at the local bakery followed by a coffee tasting tour highlighting the local industry and its importance to the regional economy and national culture. After dinner take advantage of a night hike through the fabled cloud forest of Monteverde. Lead by your naturalist guide, this unique experience affords opportunities to see frogs, snakes, spiders, sleeping birds, sloths, and even a kinkajou if you're lucky! As the sun rises on another day in paradise, continue your exploration of the region with a hike through the Monteverde Cloud Forest Reserve. Monteverde harbors over 2,500 species of plants, nearly 500 of which are orchids, 400 species of birds, including 40 hummingbird species, more than 1,000 amphibians and reptiles, ten s of thousands of insect species as well as more than 100 species of mammals including deer, coatis, sloth, tap, howler and capuchin monkeys as well as all five big cats native to Costa Rica; a nature lover's dream. Naturalist guides in the region are world-renowned for their ability to locate, identify, and educate visitors on a variety of flora and fauna found in these enchanted forests. After lunch, experience spectacular views of the pacific coast while riding the country's longest canopy zip line, stroll through hummingbird and orchid gardens, or enjoy a horseback riding tour of the surrounding landscape. Depart in the late afternoon for Manuel Antonio, arriving in time for dinner alongside the Pacific Ocean. The day is free to enjoy one of many activities offered in and around Manuel Antonio. Challenge yourself with a surf lesson from local instructors, explore the mangroves and fabled Damas Island by kayak, or cast off in the afternoon for a day of sailing and snorkeling on a sunset catamaran tour. Horseback riding, scuba diving, canopy zip lining, island hopping, white water rafting, sport fishing and parasailing are also available for you to choose. Treat yourself to a massage or spa treatment in town before joining a beachside barbecue as the sun sets on your final day in paradise. Final goodbyes to the beach and early morning departure takes you back to San Jose in time for your flight home. TRANSPORTATIONPura Vida Travel is proud to be one of the only travel agencies servicing Central America to offset carbon emissions for you international flight to Costa Rica with the purchase of sustainable certificates through FONAFIFO. Whenever possible, Pura Vida Travel partners with ground transporation services that participate in carbon offset programs as well. LODGINGHotels and lodges selected for this trip have received a Certification for Sustainable Tourism and corresponding above average sustainability rating administered by the Costa Rica Tourism Board. ACTIVITIESLocal tour operators and businesses for included and optional activities engage in best practice with respect to sustainable tourism, including but not limited to hiring of employees from the local community, maintaining impeccable safety records, as well as implementing environmental conservation, combined with a Certification for Sustainable Tourism when applicable. GIVING BACKPura Vida Travel donates $25 from each booking to Amigos de Costa Rica supporting sustainable initiatives in education, ecology, and local economy. E xpertise - we take pride in knowing our destinations inside and out. S avings - we are confident you'll find significant savings for similar services when booking with us. C ustomer Service - as far as we are concerned, the customer is still always right. A ttention to Detail - its the small things that separate a good trip from an unforgettable experience. P reparation - travel with confidence with our wealth of information and answers to all you questions. I mprovement - feedback is welcomed as we are constantly striving to improve our product and services. T ime - with careful planning and strategic execution we work to save your valuable time. O rganic - celebrating nature, culture, and personal wellness as we reconnect with our planet. S ustainability - infused in all products to help prserve and protect the places we love for future generations. Simply fill out the form below and a representative will provide you with a personalized quote today! There are no trip notes for this escape available at this time. Please check back soon for updates. There is no multimedia available for this escape at this time. Please check back soon for updates.